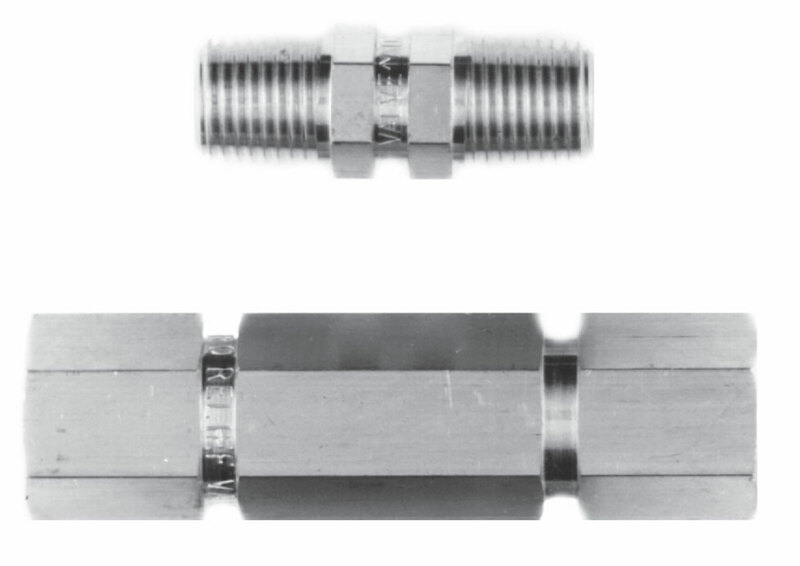 These easily field adjustable relief valves provide for the protection of equipment components installed in systems where they may be exposed to over pressurization due to the failure of another component or an operator error. Working pressure to 3000 psig. Wide range of pressure adjustment. 100% tested for crack and reseal performance. with Buna-N o-ring -10 to 250°F. with Viton® o-ring -10 to 375°F.